Steven Yee is a senior manager with innate startup expertise and is passionate about building excellent teams. With nearly 20 years of experience in the high-tech industry, Yee assembles teams to deliver large-scale technology products. He serves as a senior cross-functional manager and often handles additional roles in order to keep operations on target. Yee has helped two start-up companies reach successful initial public offering, and has a proven track record in motivating and driving teams in the areas of engineering, marketing and sales for successful product launches. In recent years, Yee has successfully recruited and retained some of the top talents of the industry in Bsquare. He has increased the application team from 12 to over 60 developers. This team later generated over 8 million in annual revenue. Moreover, Yee managed to utilize the same team, without any additional funding, to create IP and launch two new product offerings for Bsquare. As a program manager for Microsoft, he was integral in taking a software service from 5,000 subscribers to over one million in less than three years. He managed the entire software development lifecycle for all the key features in SaaS including client, server and operation. Yee has spoken at three major conferences including ESC Boston (2009), ESC Silicon Valley (2008) and MEDC (2007). As an independent consultant, he has also been invited to speak at meetings organized by Seattle Chamber of Commerce, Seattle Chinese Chamber of Commerce and Washington Society of CPA. 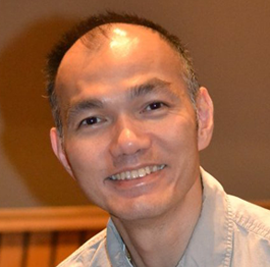 Yee has written several articles published by Embedded.com, EETime and Electronic Design and is listed as the inventor for three different patent applications. Keep up to date with beneficial activities happening at Boston International Education Group.